Located in La Cantera, Perry’s is a great place to spend an evening in The River City. Our popular Bar 79 presents floor-to-ceiling windows with an optional open-air lounge experience and expansive views overlooking the local shops. Plus, the spacious, open design gives you the chance to catch glimpses of the chef as he crafts your favorite dishes – adding to the fresh, familiar atmosphere. 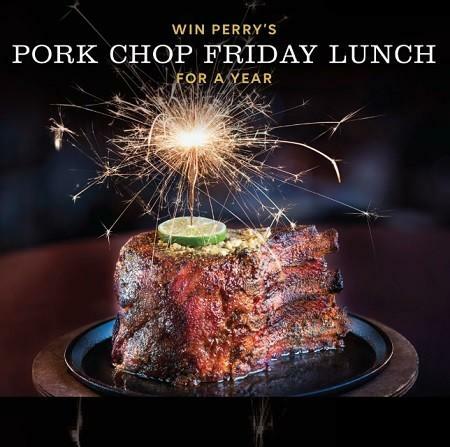 Perry's Steakhouse and Grill is celebrating with the tastiest giveaway ever — Pork Chop Friday Lunch for a year!